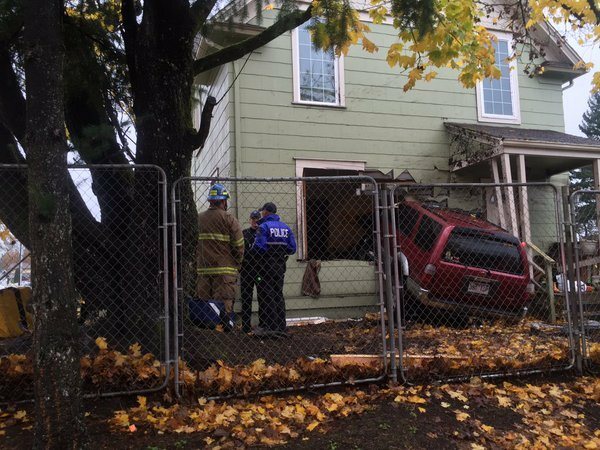 Tuesday’s storm caused high winds in Tacoma, and police say that severe weather was a factor in a incident that led to an SUV skidding off the road and crashing through the wall of a day care. Police believe that speed may also have been a factor in the incident. The red Ford SUV hit a berm, flew through the air, and hit a tree before crashing through the day care's wall. Four children sustained injuries and were taken the a local hospital. The driver of the SUV was also injured. The same storm caused injuries across the state and one death, as a tree fell down on a man’s car and crushed it while he was inside. Another tree narrowly missed a van on SR-9, a mudslide closed both lanes of US-2, a King County Metro bus driver was injured when a tree broke through her windshield and a 15-car pileup stopped traffic in Bellevue. Although Tuesday’s storm created unusually dangerous conditions on the road, drivers must still take responsibility for their actions behind the wheel. The law still holds drivers liable when an accident occurs due to the fact that they’ve lost control of the car, even if that accident happened because of conditions they didn’t spot in time, like black ice on the road. While the state does take some preventative measures against severe weather conditions, it can’t completely prevent accidents caused by extreme weather, so it’s up to drivers to judge hazardous conditions and drive responsibly. Most drivers have heard of the legal term “Act of God.” An Act of God is a major natural event causing property damages or injuries that could not be possibly prevented by reasonable care and foresight. However, a driver who’s going too fast in windy or icy conditions is not a victim of an Act of God if they crash; they still needed to exercise proper precautions while driving. If a negligent driver crashes their car into someone else under hazardous conditions, they’re still liable for damages, even if they might not have crashed under ideal conditions. If you have been injured in a car accident during severe weather, it may be time to consult a personal injury attorney. Determining who, if anyone, is at fault in an accident during dangerous road conditions can be tricky, and insurance companies have an incentive to argue that accidents in which someone was liable were actually Acts of God so that they don’t have to pay damages.